Evelyn Nunez is a junior in Saybrook college from Chicago, IL. She joined MEChA freshman year and started off her experience in this organization as freshperson liaison. 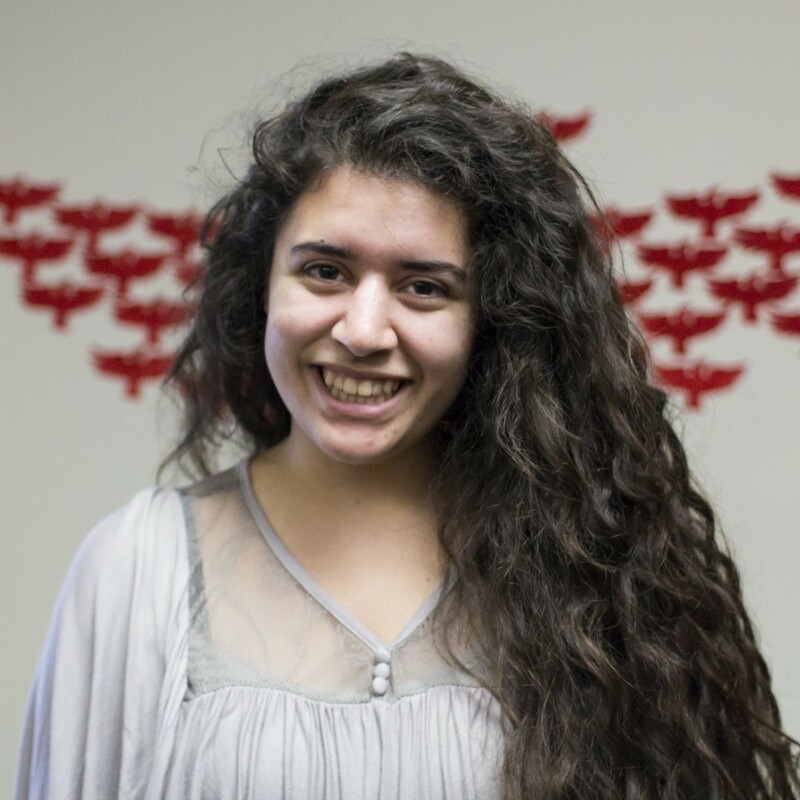 She joined MEChA because she had been very passionate about immigration and education reform in high school, but up until that moment, she had not been very involved. Within MEChA she found friends who were incredibly passionate and inspirational leaders who sought to positively transform the communities they inhabited. 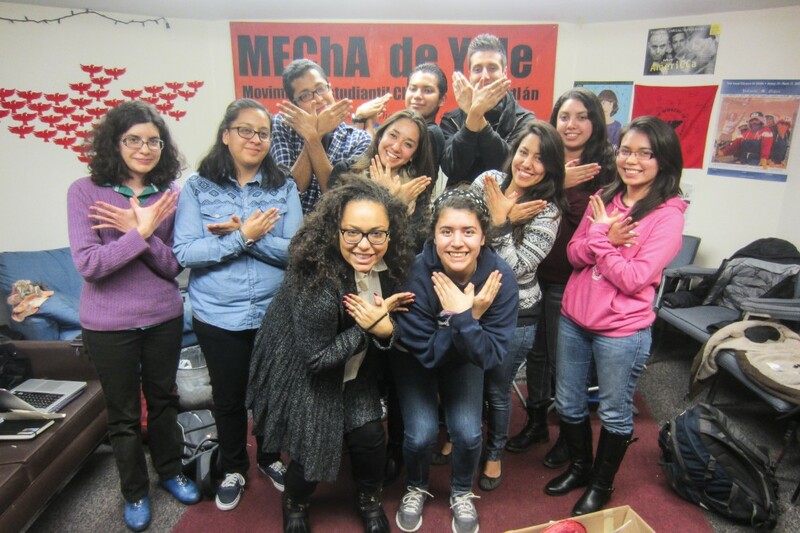 Evelyn grew enormously during her past three years in MEChA, especially during her term as Community Action Chair. 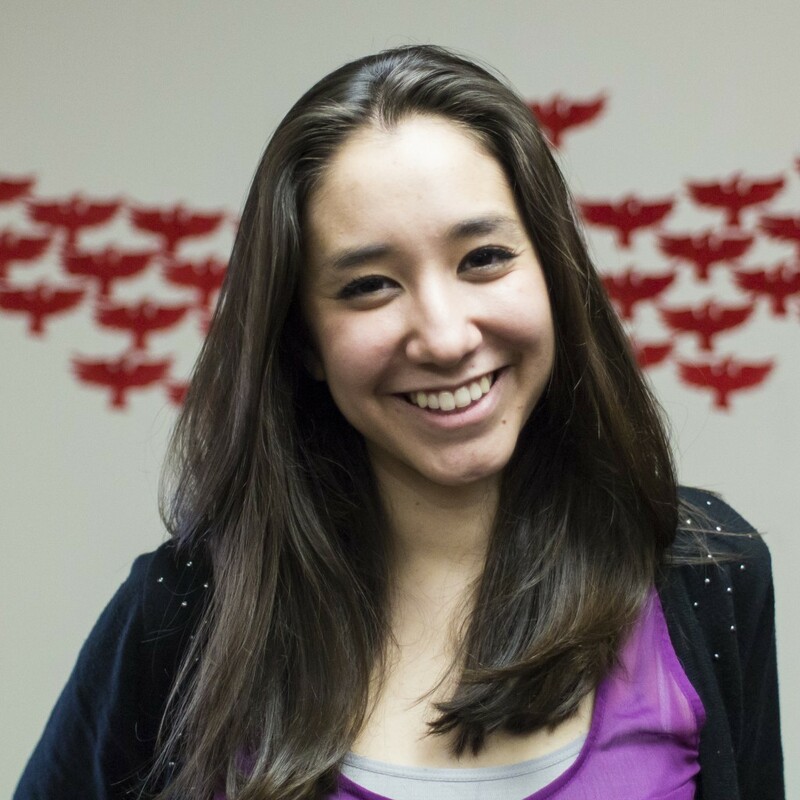 She is very passionate about worker justice, immigrant rights, and education reform. Evelyn is excited to take on her term as moderator for this coming year, and she can see incredible things ahead for MEChA! La lucha sigue! 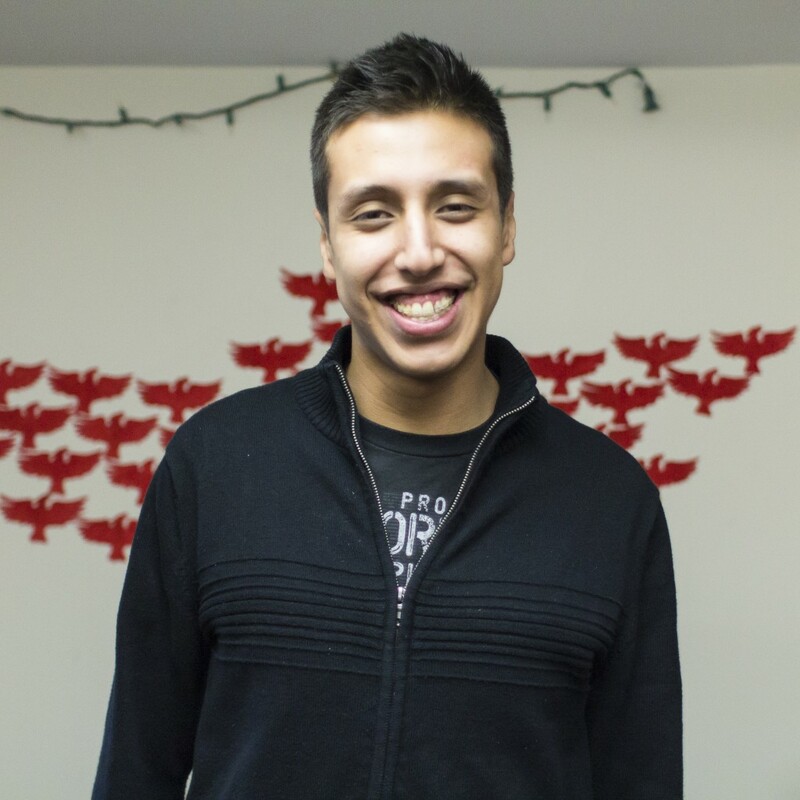 Juan is a junior in Morse and a History of Science, Medicine, & Public Health major. He is passionate about public health and the history of science, and aspires to a career that allows him to merge these fields. Juan originally joined MEChA wanting to tackle issues of justice and inequality in New Haven, and it has been one of his most defining experiences at Yale. In addition to MEChA, Juan volunteers his time at the HAVEN Free Clinic and the Community Health Educators. In his free time, Juan enjoys running, reading novels, and composing playlists. Kim Mejía-Cuellar is a sophomore in Jonathan Edwards College. Her hometown is Oakland, California and she is a prospective Sociology/American Studies/Ethnicity, Race & Migration major. She loves concert-going and exploring new cities. Mejía-Cuellar helps children improve their literacy by volunteering as a tutor at New Haven Reads. She is also the Parent Education Coordinator for FAIR (Free & Accessible Immigrant Resources) College Counseling, which helps students and parents from immigrant backgrounds at local high schools through the college application process and financial aid. Román Castellanos-Monfil is a junior from Brooklyn, NY majoring in Economics. He joined MEChA even before he got to Yale, joining when he was only a pre-frosh during his Bulldog Days! Román decided to join because he felt MEChA was a very welcoming organization that actually made an impact in the community and became Publicity Chair his freshman year. 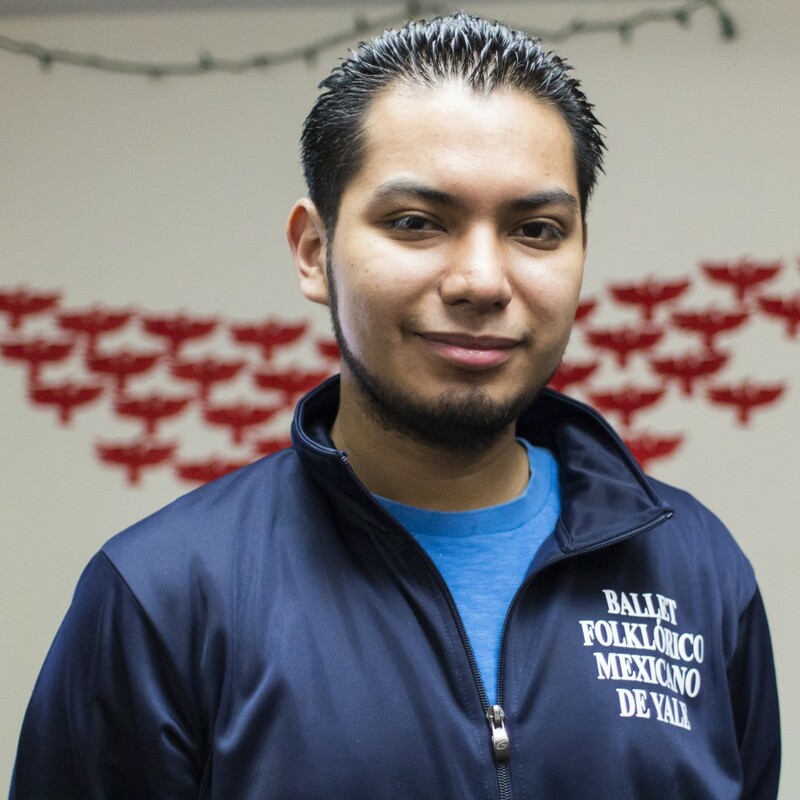 Román is very passionate about education as a program called Prep for Prep back home gave him opportunities that he wouldn’t have had otherwise. During his sophomore year, he co-chaired Semana Chicana, an annual weeklong series of events that focuses on a specific issue affecting the Chicano and Latino community. Choosing education as that year’s theme, Semana Chicana explored affirmative action, drug education, and ethnic studies through workshops and guest speakers. As historian and webmaster, he is focused on making sure current MEChistas know about our organization’s history and making future members know what current MEChistas have accomplished. Justice. Beaches. Mangoes. Cathy Calderón lives by these three things as a valley girl from San Fernando, California. As a freshwoman in Davenport College, Cathy aspires to major in Ethnicity, Race, and Migration and become an Education Scholar while also dabbling into Child Studies. She volunteers at the Fair Haven Free Public Library as a homework helper and at the HAVEN Free Clinic as an interpreter. A long-time political activist, Cathy enjoys working with the youth in the communities surrounding her and finds great inspiration in Keith Haring for his community activism in the areas of social awareness and education through art. She hopes to one day start her own nonprofit, which would provide out-of-school educational assistance and community beautification project opportunities to low-income communities. Ivonne Gonzalez is a sophomore in Branford College majoring in Ethnicity, Race, & Migration. 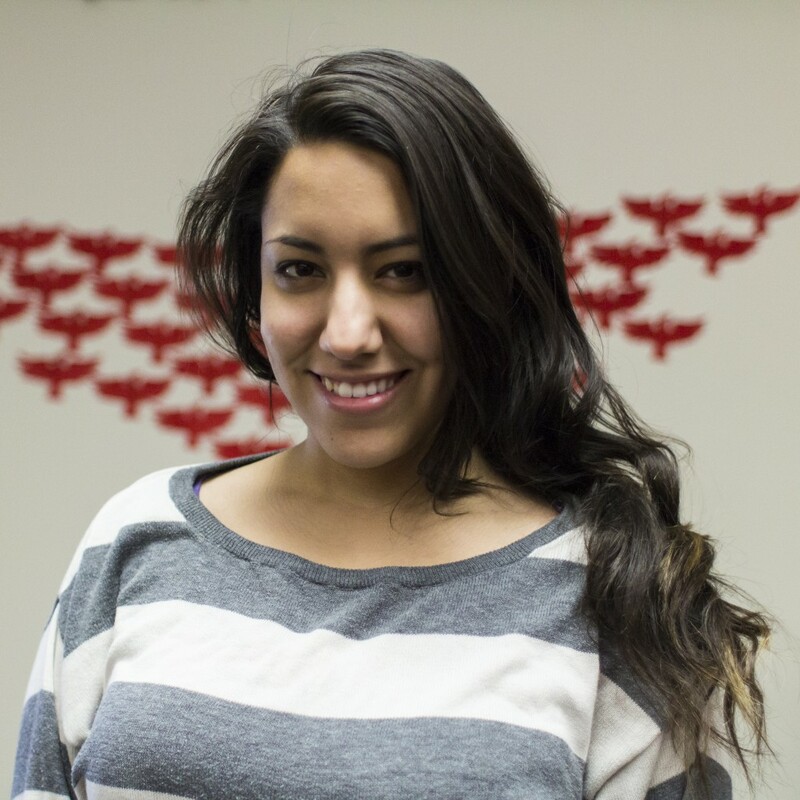 She is from East Los Angeles, CA and joined MEChA to stay in touch with her Chicana roots. 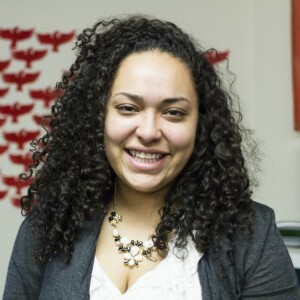 She then realized she had a passion for social justice movements and wanted to get more involved in the New Haven community. 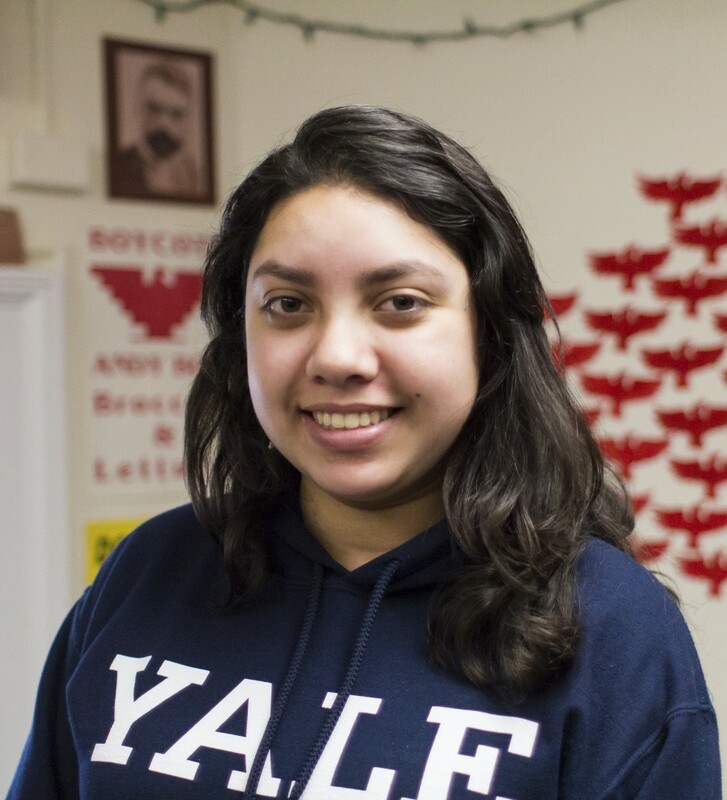 She has enjoyed working on a committee for the Sueños scholarship, a scholarship for undocumented students in New Haven, and plans to continue her work with education and youth through MEChA. 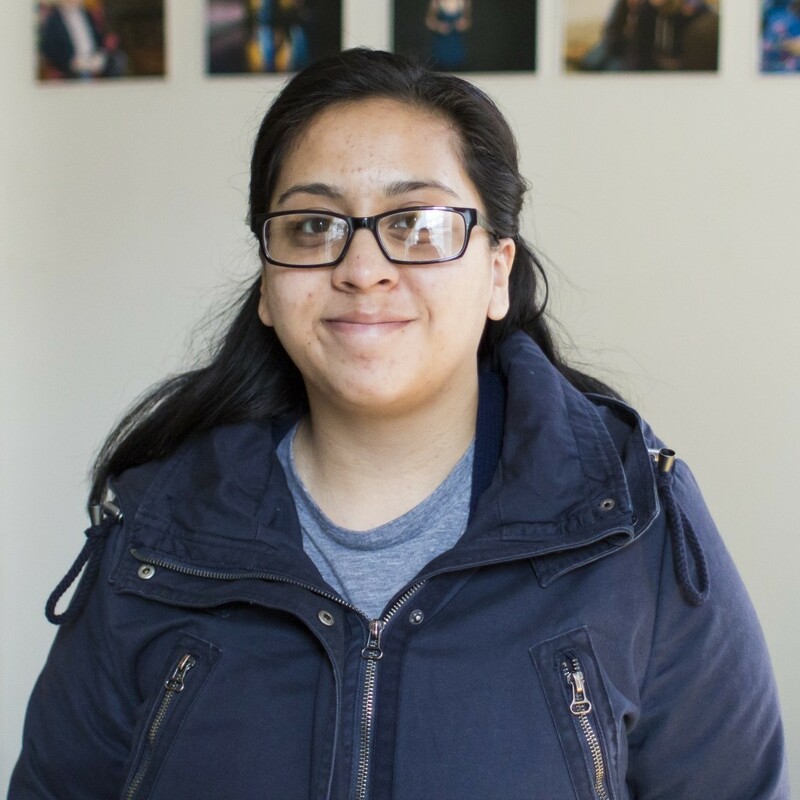 Ivonne likes to spend her free time playing the guitar, singing, writing songs, dancing ballet folklórico, and working as a first grade teacher’s assistant at a New Haven community school. Adriana Embus is a freshman in Timothy Dwight College. A perspective major in Ethnicity, Race & Migration or History of Science and Medicine, Adriana has a passion for social justice, public health and women empowerment within underprivileged communities. 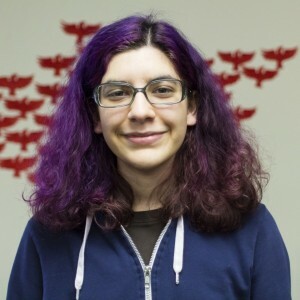 She initially got involved with MEChA after she heard about their social justice approach to solving problems within the Yale community and beyond. As Social Chair, she hopes to help the MEChA family bond and have fun together. On campus, she is also one of the TD Representative on FCC, Treasurer for the Yale NAACP Chapter . During her free time, she loves smiling, dancing, spending time with friends, and traveling abroad. Israel Tovar is a freshman in Ezra Stiles College (GO MOOSE!) originally from Tijuana, Mexico but who moved to Los Angeles at the age of four and then to Nashville at the age of twelve. Israel’s major is undecided, but he is absolutely certain that he wants to go into the field of education. He believes that education is the most beautiful and powerful possession anyone can have. He also believes that Mechistas are the most amazing, caring, and passionate people on campus. He found a loving home in MEChA and is thrilled to be on E-Board. Outside of MEChA, Israel gives tours in Spanish as an International Ambassador, works in the Student Employment Office, and works as a Freshman Liaison in the La Casa Cultural. Ava is in her first year here, and is from South Bend, IN, and Chicago, IL. She is dreading the day of picking a major, and wants to study the political dimensions of language as specifically related to Posthuman theory, intellectual history, writing, and art. Ava joined MEChA because she felt that it’s one of the few social justice groups on campus that sees the interrelations between issues, and doesn’t pigeonhole itself to just one. She does a lot of the graphic stuff for the chapter, and is hoping to do some large-scale, public art projects to highlight MEChA’s campaigns soon. Adriana Rodriguez is a sophomore in Calhoun College. She was born and raised in Chicago, IL, and is a prospective American Studies major. Rodriguez is interested in the topics of immigration reform and education in the Latino community. She is excited to learn and share more about those topics in MEChA. She enjoys eating stuffed/deep-dish pizza and enchiladas, and is always on top of the latest Pretty Little Liars episodes. She is a member of the Yale Ballet Company, e-board for ReadySetLaunch, and part of a student group input for exCHANGE lecture series (discussion on topics in Education). Mayra Negrete is in Morse College and a potential psychology major and pre-med student from Gardena, CA. She’s interested in public health and education and an interpreter at Haven Free Clinic. 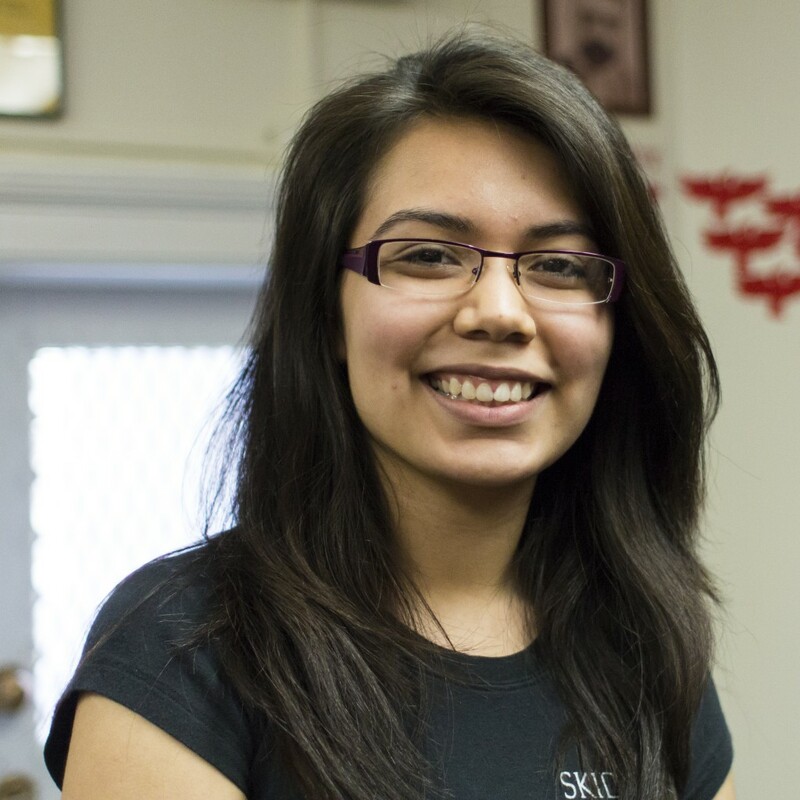 Mayra hopes to one day become a doctor and set up a clinic in a low income neighborhood.